She had sustained a massive brain injury stemming from undetected complications prior to her birth. Elizabeth would have graduated from high school this year if she hadn’t suffered that injury. I think about her joining her brother at Michigan State. Maybe she would want to be a television reporter like her mom. But she isn’t going anywhere. She’ll always be in our home as our forever child. If you or a loved one was diagnosed with mesothelioma, I suspect you may have experienced a similar sense of loss and betrayal. There might be someone to blame: Perhaps it was your employer, an asbestos manufacturers or a military facility. Where are they now while you or your loved ones suffer? As a Christian, I chose the path of thankfulness and prayerfulness to avoid falling into a trap of bitterness. Bitterness and resentment serve no purpose. For many people who deal with mesothelioma, whether your own diagnosis or that of a loved one, bitterness won’t take away the disease or the emotions it creates. It also won’t punish those whose negligence was responsible for causing the illness. Bitterness only leads to anger, hate, hurt and revenge. And whether one prescribes to Christianity, some other religion or even atheism, we can all agree these are harmful feelings. And if you’re fighting mesothelioma, undermining your physical health is the last thing you would want. You need everything you have to fight the disease. 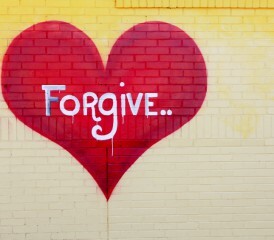 Seltzer believes forgiveness alone enables us to let go of grievances, grudges, rancor and resentment. It’s the single most potent antidote to bitterness. How then do we forgive? Forgiveness isn’t a feeling; it’s a choice. Say it out loud. Say it to someone else. Say it whenever bitterness arises. Keep the big picture in mind. Was your exposure to asbestos a personal vendetta against you? Probably not. Was it carelessness, ignorance, corporate greediness or all three? Probably yes. Life on this planet results in many injustices for many people. Don’t let bitterness steal the last years of your life or those of your loved ones. Instead, rise above it, and be an example of living victoriously, despite hardship and unfair circumstances. If you believe in God, trust that He has your life in His hands. Don’t confuse bitterness with the desire for justice. You should receive compensation if you’ve developed mesothelioma as a result of asbestos exposure. You can forgive and be compensated at the same time. I look back at my life since my daughter was born. Believe me, I’m no spiritual or emotional giant, but if I had let bitterness take hold on that day almost 18 years ago, I don’t know that I could have endured this journey. It has been hard enough as it is. When you are fighting a disease like mesothelioma or serving as the caregiver for someone who has it, a spirit of forgiveness, joy, thankfulness, and a sense of humor go a long way in making that rough ride more bearable.